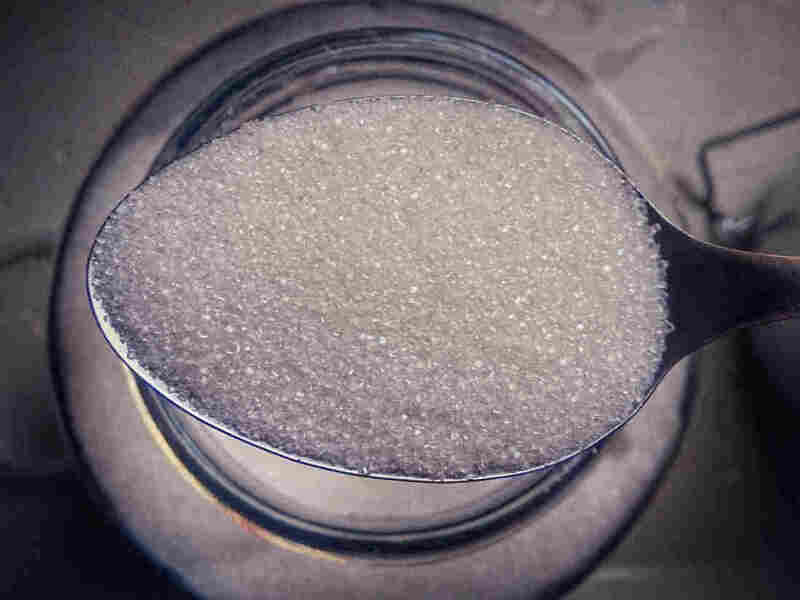 Sugar's Transition From Nice To Nasty : 13.7: Cosmos And Culture We may be addicted to sugar as a culture, writes Alva Noë, but not in the way some of us are addicted to drugs like cocaine or heroin: The problem is a collective one. When I was young, there were basically two little-boy schools of thought about girls. According to one saying, girls were made of greasy grimy gophers' guts, little birdies' dirty feet, all wrapped up in poison ivy leaves. The other, associated with Mother Goose, offered a different picture. Girls, so it was recited, were made of sugar and spice and everything nice. I was with Mother Goose. I thought of these pre-pubescent gender skirmishes the other day when I noticed how the tables have turned — at least as far as our views of sugar are concerned. Sugar, in our doggerel, had been the very embodiment of sweetness and good. Not so in today's imagination: Sugar is a food stuff most suspect. The verdict is in: Sugar is bad. Very, very bad. That may be so. The comparison with cocaine, however — I'd like to suggest — is misleading. Sugar, after all — and unlike cocaine — is food. We are addicted to sugar the way we are addicted to cheap gas. It isn't for the thrill of the ride that we have developed such a gas-dependency. It's because we really need to solve transportation puzzles. We need to get our kids to school, to go shopping and to commute to work ourselves. And so with sugar. The reason parents of players on my son's Little League team slip sugar-infused "sports drinks" like Gatorade to their kids during the game is, in part at least, to give them the calories they need to get through the game. Sugary drinks and snacks are a convenient, easy, inexpensive way to deliver the needed calories. This is also why the Reagan administration once proposed treating ketchup — which is extremely high in added sugar in the form of high fructose corn syrup — as a vegetable. Cheap and easy. "...by 1650 in England the nobility and the wealthy had become inveterate sugar eaters. Sugar figured into their medicine, literary imagery and displays of rank. By no later than 1800, sugar had become a necessity — albeit a costly and rare one — in the diet of every English person; by 1900, it was supplying nearly one-fifth of the calories in the English diet." What happened to bring about this extraordinary and thoroughgoing transformation in our diet? Back when sugar first showed up in northern Europe, basically everything a person ate was grown or made locally. What put a stop to that was not the lure of sugar but the rise of wage labor and capitalism. Who's got time to bake bread for dinner if you are working in a field all day? And, so, sweetened tea or coffee, sugary buns and other high-calorie, meals-ready-to-eat quickly came to be necessary conveniences of the modern world. And this, in turn, is something that can only have come to pass because sugar — once the foodstuff only of kings and queens — got cheap due to colonialism, the institution of slavery and the slave-based plantation. Fast-forward: In the United States today, sugar consumption (not just cane sugar, but sugar from beets, corn syrup and other sources) has ballooned. It has increased 39 percent in the last half-century alone. In 2000, the average American ate more than a 150 lbs. of sugar. The abuse of sugar may be a medical disaster. But it isn't really individual consumers who are the true addicts here. Rather, we are. That is, the victim here is the very socio-economic collective that has itself conspired — over the last 500 years — to make sugary snacks and drinks, like low-cost gasoline, so indispensable to our way of life. I'm all for smart eating. And I do not want to diminish either the role of sugar or the real human toll of obesity-related diseases. But we aren't bringing the true problem into focus by brandishing addiction-talk or by demonizing people in the processed food industry.